​What Kind Of Bike Would Really Get You Into Riding? Something kind of awesome happened yesterday. After posting that amazing pair of Husqvarna concepts, the comments lit up with people saying they'd never considered riding, but these bikes could change their mind. So what kind of bike would get you in the saddle? Or if you already are, what was the bike that clinched the deal? For me, it started on an electric Zero DS I was testing a couple years back. I'd had my motorcycle license for over a decade, but only road once every few years. After running the Zero for the better part of 8 months, I was hooked. Not on electric, but on two wheels. The were a lot of reasons why I finally made the leap to full-time riding, but it really came down to two things: First, I missed wrenching on something and bikes let me do it on the cheap. Most older bikes (and even some newer ones) are stupid simple to work on and it doesn't take much scratch to maintain and upgrade a motorcycle. Secondly, what got me into cars in the first place – a rolling, mechanical sanctuary where I only had to focus on doing one thing well while the world melted away – had been missing. A motorcycle brought that back. It's cathartic. It's pure. It's an antidote to the hyper-connected, over-engineered, and electronically-controlled 21st century idea of transportation. And as the saying goes, it's a lot cheaper than therapy. The takes-all-kinds atmosphere, the design, the simplicity, all of it got me on board. For me, it wasn't one bike, but all of them. 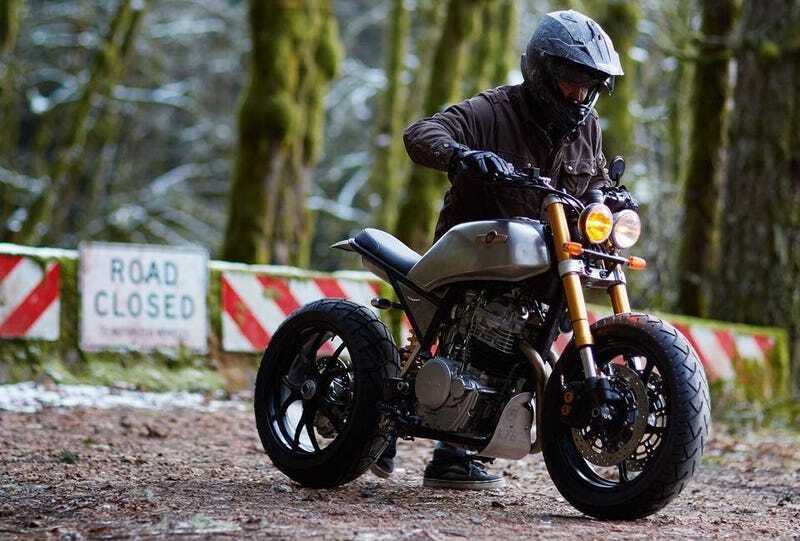 Sport bikes, supermotos, cafe fighters, even a properly stripped-down Goldwing. They all have their appeal. So what's your flavor? What would get you onto two wheels? And if Honda or Ducati or Harley or Triumph isn't making it, what would bring you into the fold?